Modern Masters is live now through March 211 Artnet Auctions are pleased to present Modern Masters, a selection of rare works by the foremost artists of the Modern era. 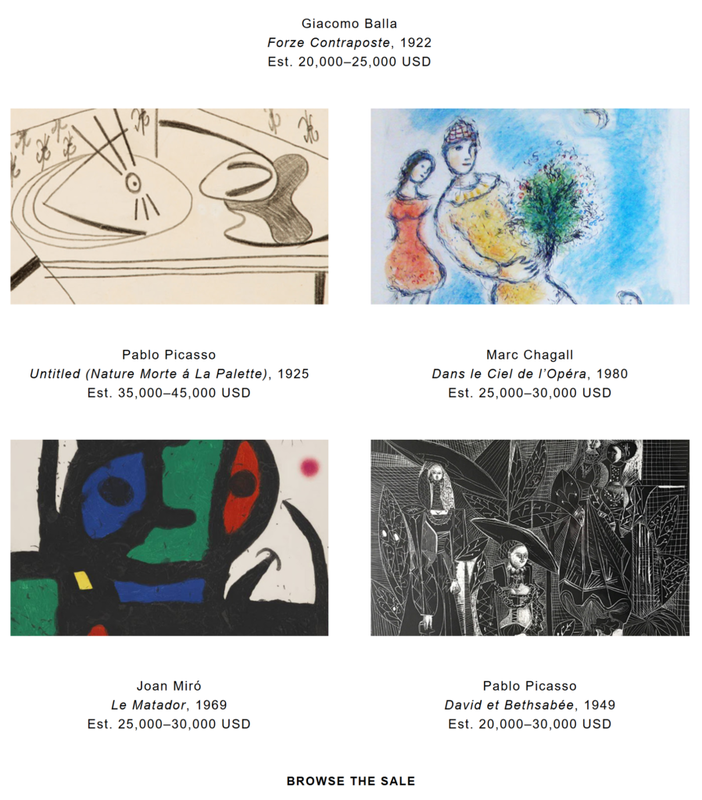 Discover and bid on original works and prints by important artists such as Pablo Picasso, Joan Miró, Gustav Klimt, Marc Chagall, Giacomo Balla, and Georges Braque, and place your bids now through March 21. Full credit to Artnet for this information.